If you spent a lot of time, attention, and resources toward all the details of your wedding day, chances are you’d like some nice photos of them. I know I do! So here are some tips on how you can help your photographer document all the little things that make up your wedding. The day before the wedding, group all the wedding details you want photographs of. For example your dress, shoes, veil, garter, flowers, wedding & engagement rings (from both of you), jewelry, locket or frame with a special person in it, any family heirloom, a set of clean stationery (invitations etc. with no writing, no bends), your handwritten vows, perfume, any gifts or notes you have (for your beloved or from/for a family member)… etc. 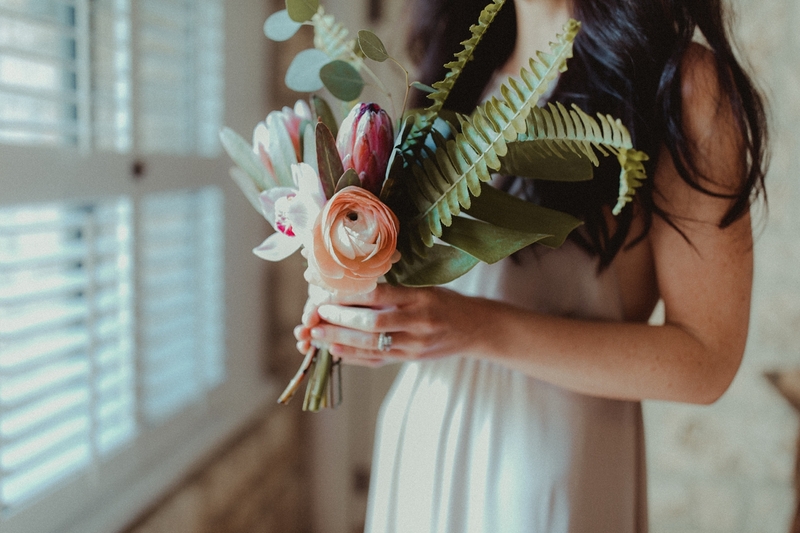 All those things get photographed first thing during prep time and there typically isn’t much time to track it down, so gather it all the day before and assign someone (maid of honor, family member, planner) to keep track of it and gather it all again the next morning in your suite. On the gentlemen’s side, details can be tux/suit, shoes, tie/bowtie, socks, boutonnière, cuff links, cologne, handwritten vows, any gift or note, any family heirloom, any monogrammed piece, handkerchief, and watch. Having good communication with the team that’s going to set up the ceremony, cocktail hour and reception areas so they know exactly when they need to be finished is crucial. That would include the representative from the venue, florist, cake maker, and your planner if you have one. The timeline on a wedding day is usually very tight, and there won’t be any time once the guests get there for your photographer to take photos of those areas undisturbed. Work together with him/her on the timeline and see when they plan to document the space and how much time they need. Typically, an hour or so before your ceremony is a good time. Make sure there aren’t any distracting items in the background and that all the key items (e.g. The cake…) are in a nice area with plenty of natural light, not in a dark corner somewhere. If everything is ready when it should be and time has been carved out for it, your photographer will be able to properly document everything. Note though, that in my experience the set-up always runs behind, so pad your timeline and tell them to be ready 15 minutes before you actually need things done. For more wedding detail ideas, check out this post by The Knot, or this inspiration board from Junebug Weddings.